Celebrate a friend, family member or loved one tying the knot with her dream partner before the big day with this The Bright Side Hen Do Album, allowing all of those lost memories to alcohol and a good time to be remembered and documented for years to come! This hen do album is ring-bound for easy navigation throughout, and is covered with a thick white card material on front and back. 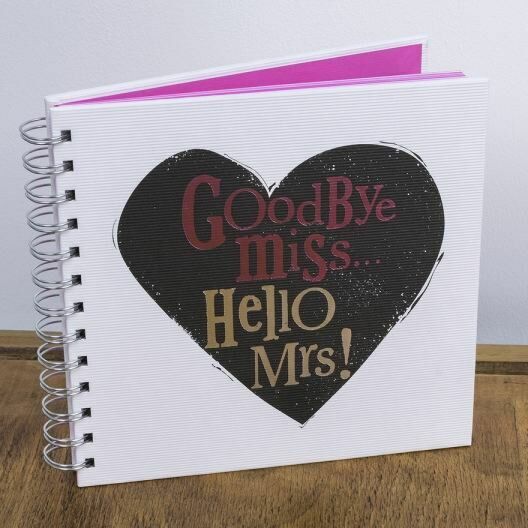 On the cover, a large matt black heart is printed and filled with the words ‘Goodbye Miss… Hello Mrs!’ in a mixture of metallic silver and pink fonts. The book is opened to reveal a personalisation page in which you can input names, dates and those attending the hen night. This page is followed by a huge amount of blank, square pages that are edged with a vibrant pink colour, allowing you to write messages, stick photos or print keepsakes from the night in with ease! 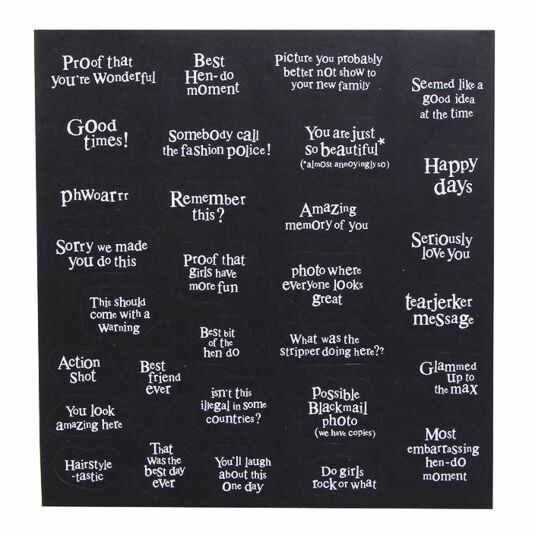 Included with this book is a page of descriptive stickers containing such phrases as ‘Call the fashion police’ and ‘Possible black mail photo’ in a white font upon a black background. 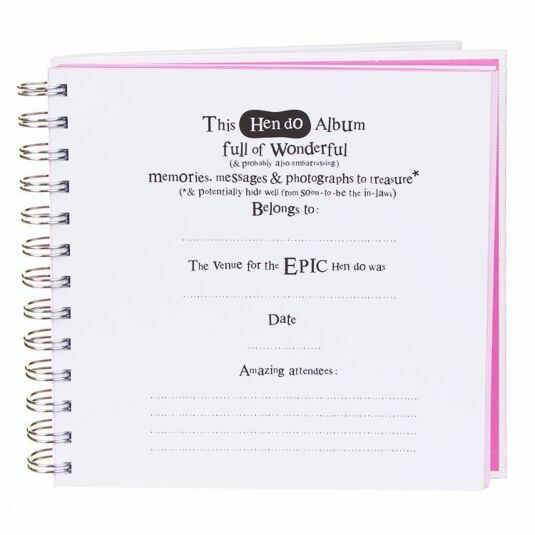 This The Bright Side Goodbye Miss Hen Do Album would make a perfect and fun gift for any hen about to tie the knot, to help document the memories with all her friends and family before the big day!